How do you defend yourself against an accusation made about an act that supposedly occurred 36 years ago? It would be impossible under normal circumstances, but even more so in an age in which every accusation against a man for sexual misconduct is given wide circulation and assumed to be true. The alleged attempted sexual assault took place in the summer of 1982 when she was 15 and he was 17. She told The Washington Post that, with another boy watching, Kavanaugh, intoxicated, held her down on a bed with his body, covering her mouth when she tried to scream and trying to pull her clothes off; she recounted escaping when the second boy jumped on them both and they all fell. Kavanaugh was not named in the notes that supposedly supported her accusations. The accuser provided The Washington Post with session notes from her therapist written in 2012. 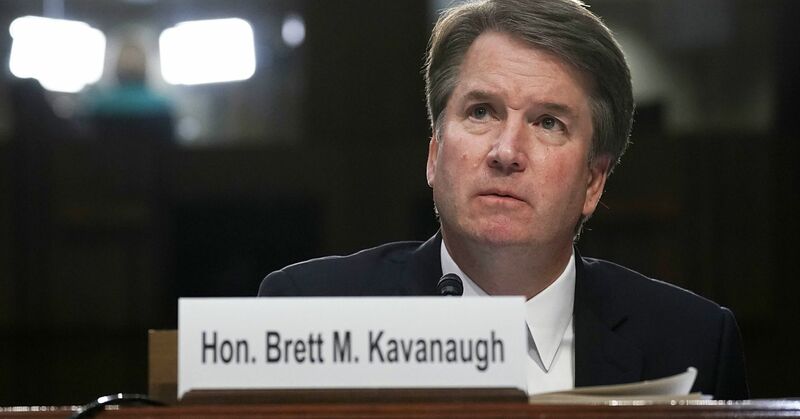 The notes do not name Kavanaugh but record her claim of being attacked by students “from an elitist boys’ school” who went on to become “highly respected and high-ranking members of society in Washington.” Of course, that could be thousands of people. The participants were allegedly intoxicated. There is no one that can corroborate the events, since the one other person alleged to be there has “no recollection” of the event. Did this event actually occur? Impossible to say. If it occurred, did it occur as the accuser describes it? Impossible to say. But one thing we know for sure, in our Brave New World, it will in all likelihood stop a very qualified supreme court nominee from taking office.